Flush-out session as Blitzboks arrive in San Francisco. 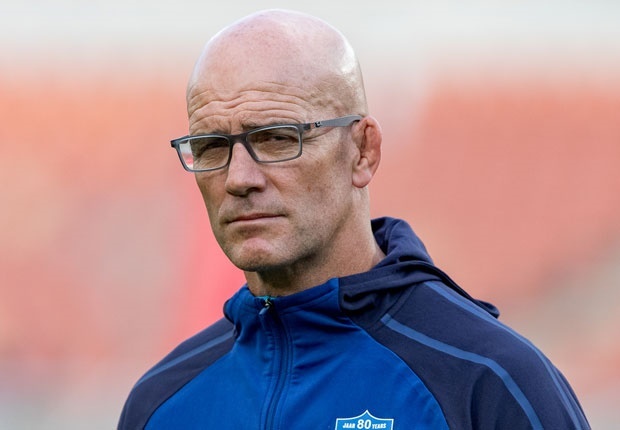 Johannesburg - Playoffs are often uncertain things, but Bulls coach John Mitchell believes if the Lions want to win this year’s tournament they will probably have to win it in the hardest way possible, by winning in Christchurch. The Lions cards all fell in their favour on Saturday before their victory over Mitchell’s Bulls, and they took the field knowing that the Brumbies’ win over the Waratahs helped them move to second spot with the 38-12 win over their northern rivals, according to SuperSport.com. But more than that, it helped them to know that if they do win Saturday’s quarter-final against the Jaguares on their home ground, whoever they play will have to head to Johannesburg for a semi-final. With home ground advantage certainly being a massive factor at this stage in the 19-week competition and history showing it is a big advantage for the teams playing at home, this news was almost as good as the victory over the Bulls, with Swys de Bruin managing to secure the South African conference for the third year in a row for his side. But Mitchell is a realist, and a straight-shooter, and when he was asked about the Lions’ chances in the “finals series”, he said the one thing that few Lions supporters wanted to hear. “Clearly if you get a home final you have a big chance. But clearly there is still a lot to play out and they probably will have to go to Christchurch to win this tournament,” Mitchell offered. The Bulls coach did give the Lions a glimmer of hope though, especially as the Crusaders have to face the Sharks in their quarterfinal and if they make it past that, they are likely to face a semi-final against New Zealand opposition, with derbies notorious for upsets. And with the Lions forwards operating on a different level on Saturday, Mitchell believes that both they and the Crusaders have enough forward strength to win a game in several different ways, without being to flashy. “If you look at the two teams in the competition that have the ability to go to their scrum and go to their maul, then the Crusaders and the Lions are the two teams. You don’t have to go and play a whole lot of flash rugby and perhaps the Crusaders are slightly better defensively,” Mitchell added. The Lions and Crusaders both scored 77 tries during the season, setting the pace on attack. When it comes to the finals though, defensive line speed and defence in general tends to take over and the team that adapts better and adds this extra pressure will come out on top. And if you get all the way to a final, even if it is in Christchurch, this will be a massive factor.